#1 WINDOW AND DOOR COMPANY IN THE GTA!! "WE WILL BEAT ANY WRITTEN QUOTE FROM ANY COMPANY ON WINDOWS DOORS & GARAGE DOORS GUARANTEED"
JR Windows and Doors are dedicated to supplying each and every one of our customers with the best products and the best installation. With combined experience of over 30 years in the window, door and garage door business we have the experience to provide your family the best service possible, we are family run and take pride in every one of our installations. 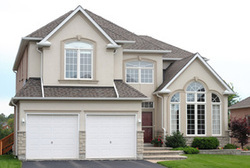 We service the GTA when it comes to garage doors, windows, front doors, patio doors, and repairs. Energy Star rated and CSA approved windows and doors. Latest knowledge and expert advice in windows, doors and garage door replacements. Large selection of quality products and services. 100% guaranteed installations for all our products. Joe is our Window and Entry Door specialist, having started in the industry at a young age and with now over 20 years experience in the industry you will only have one call to make. Joe will walk you through every facet of your installation right down to the smallest detail. Contact him in regards to your Window & Door Installation with any question and you'll be in good hands. The ultimate key to success for JR Windows And Doors resides in our employees. Since we are a service based organization, the most important element that separates our company from others in our industry is our people. We invest in our personnel by training them with on-site practical instruction. We ONLY use ENERGY STAR rated products. Our windows and doors meet or exceed ENERGY STAR certification. This ensures maximum energy savings for the environment and lower energy bills for the homeowner. ENERGY STAR® qualified windows, doors and skylights will save you money by reducing your energy costs. All window company's sell similar products but only JR Windows and Doors will go above and beyond your expectations in the customer service area, we have installers that are trained and are expectd to perform to our high standards. Unlike big manufacturers we concentrate on our installations, our reputation depends on it and we take that seriously. With our free in Home no obligation estimate JR Windows and Doors is committed to saving you time and money. By not having expensive and impersonal showrooms we save you money. No need for you to run around searching for a deal we will bring all the samples, and colours to you. That is our commitment.